A man was sentenced to 70 years in prison Thursday after a paralyzed victim blinked to identify the man who shot him. Jermaine Hailes was convicted in June of shooting Melvin Pate during a drug related-robbery in November 2010. 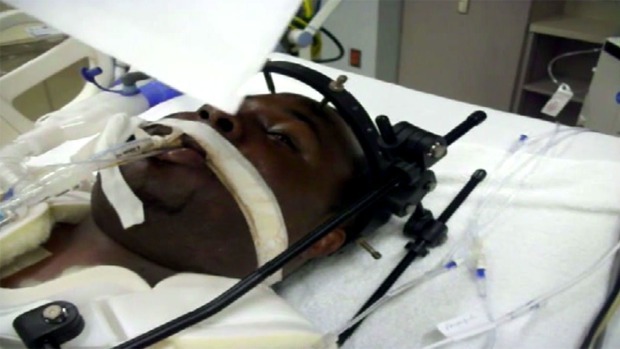 The gunshot could have killed Pate immediately, but it left him quadriplegic instead. He died two years later. During Hailes' trial, jurors watched videotaped testimony from Pate, who could not speak after he was shot. Paralyzed from the chest down, he blinked from his hospital bed at a photo of his shooter in a photo lineup, prosecutors said. Once Pate was conscious, police wanted his help identifying who shot him. With a halo screwed into his skull to stabilize his spine, he could not speak, but he could blink. 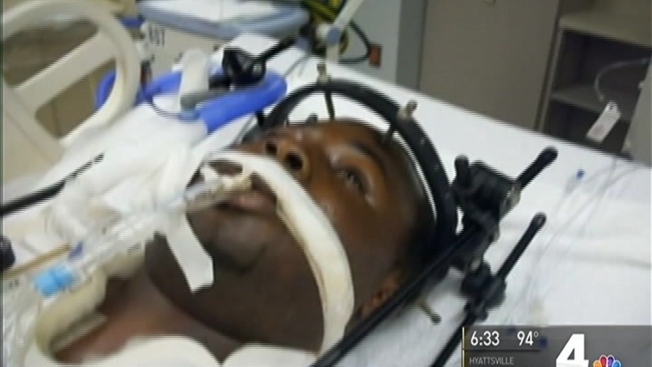 Video shows how a man managed to convict his killer before he died -- by blinking. Prince George's County Bureau Chief Tracee Wilkins reports. "He was able to make an identification of Mr. Hales by blinking during a photo lineup that police showed him while he was in the hospital," said John Erzen, spokesman for the Prince George's County State's Attorney's Office. "They told the victim to blink once hard if he recognized someone in the photos he was shown. So, it wasn't the involuntary blink that we all do. It was truly a closing of his eyes and opening them and you could see the tears coming from the side of his eyes as he identified the man who was his killer," said prosecutor Christine Murphy. After Pate's death, several years of hearings and appeals followed about whether the video of his blinking would be admissible in court. Ultimately, a judge ruled that Pate was competent when he identified the gunman, Erzen said. It marked the first time in Maryland history that a homicide victim's identification of his or her attacker was admissible in court. In addition, a man who said he planned the robbery with Hailes identified him in court as the shooter.